Buy 1 - 5 for $22.99 ea. Buy 6 - 100 for $22.49 ea. 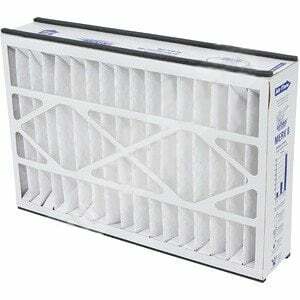 The Trion Air Bear Home Air Filter 16x25x3, 255649-101 is a genuine Trion MERV 8 filter with pleated media. This 16x25x3 filter can be used in Trion models Air Bear TM and Air Bear Cub, and is an excellent upgrade over part numbers 229990-101 and 229990-001. 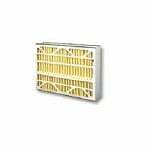 This dust filter can also be used to replace Lennox filter X0581 which is used in the Lennox air cleaner BMAC-12C. Efficient air conditioning filters can prolong the life of your equipment, and save you money! 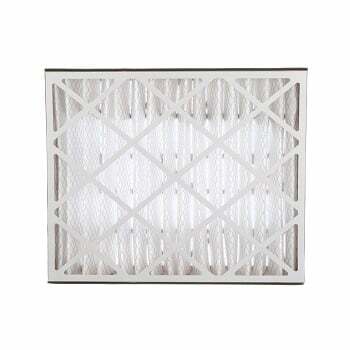 Trion Air Bear filters are constructed with high-efficiency synthetic material and extended-surface pleats that provide higher dirt-holding capacity. Trion Air Bear pollen air filters should be checked every 6 months and changed every 9-12 months depending on air quality and factors in the home such as pets, smoking and other contaminants. The FiltersFast FFC16253TABM8 is the affordable alternative to the Trion 16x25x3 Air Bear Cub Filter. 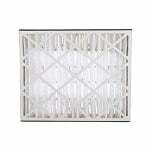 This filter is an odor ban compatible MERV 8 filter replacement. This 16x25x3 filter has pre-applied gasketing on the assembled filter that prevents air by-pass. It effectively captures 85% of airborne allergens such as pet dander, dust, pollen and smoke. Designed with an efficient filtration media made of fine carbon powder bonded to lofted polyester media, this FiltersFast Filter reduces unpleasant odor and creates a healthier environment. This FiltersFast replacement Filter has a maximum temperature capacity of 180 degrees Fahrenheit (82 degrees Celsius). Actual dimensions: 15 3/4 x 24 1/4" x 3"